The first workshop on active X-ray optics was held at SOLEIL (France) in December 2006, attended by more than 50 participants mainly from astronomy and SR-laboratories. 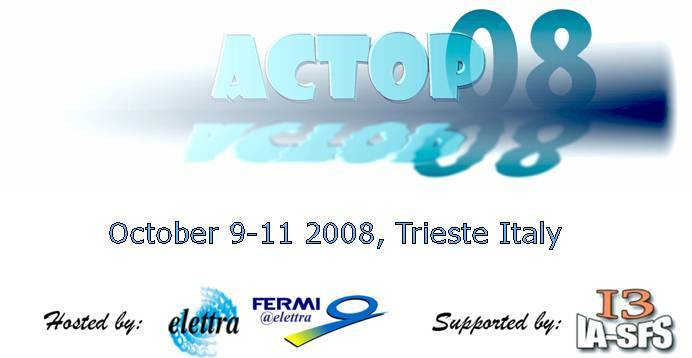 The purpose of this second workshop is to bring together manufacturers, optical and mechanical engineers, designers and users, of active and adaptive optics, in order to exchange ideas, highlight possible problems and challenges linked to its use and try to find a way to overcome its current limitations. New or potential users of active optics will have a strong feedback from well experienced specialists to have a clear review on the advantages and disadvantages of this advanced type of optical set up. An important part of the meeting will be dedicated to the use of adaptive optics, to improve the performance and the experiment of the new SR and FEL sources, and to review the new results and the improvement made in the last two years since the SOLEIL�s meeting. Expected future requests for the optics at new SR and FEL sources. A selected number of invited high level speakers and a series of oral presentations will be scheduled during the workshop. It will be also possible to have a direct contact with some vendors via dedicated presentations or posters. A round table bringing together the users, producers and testers of the Bimorph mirrors and related instrumentation will be organized on Saturday 11th for a limited number of interested participants.